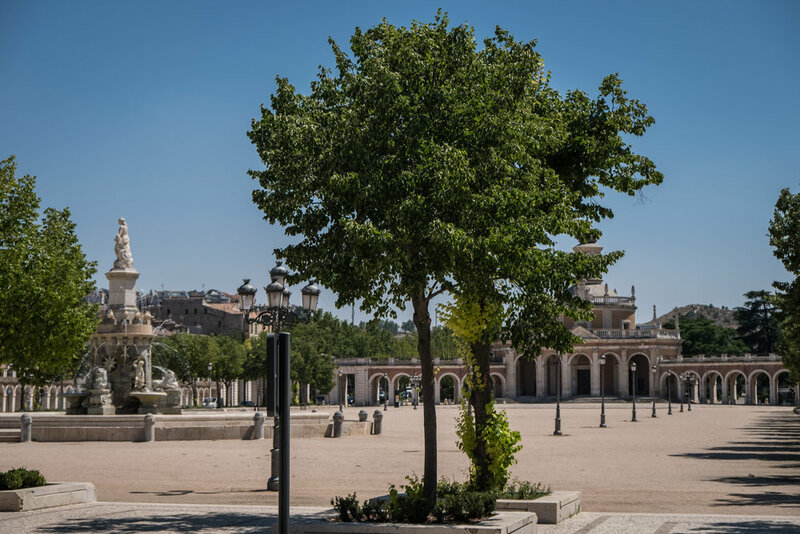 The Aranjuez cultural landscape is an entity of complex relationships: between nature and human activity, between sinuous watercourses and geometric landscape design, between the rural and the urban, between forest landscape and the delicately modulated architecture of its palatial buildings. 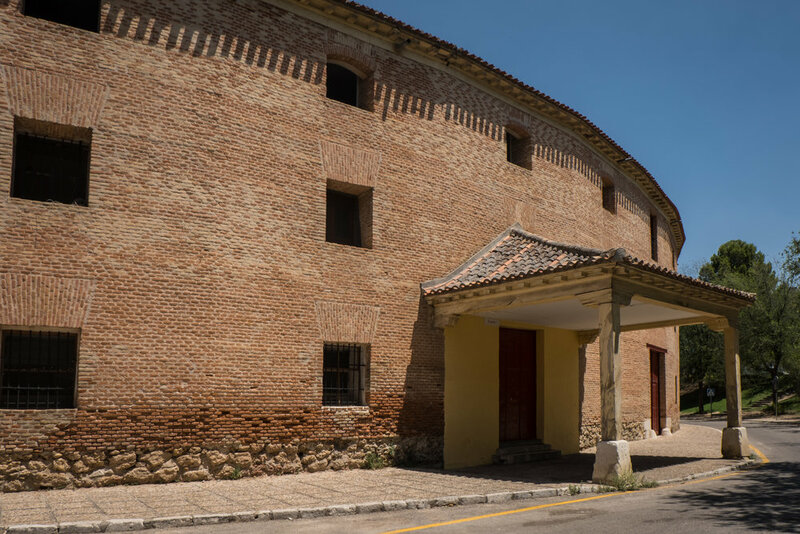 The Spanish sun has a funny way of emptying out a place. 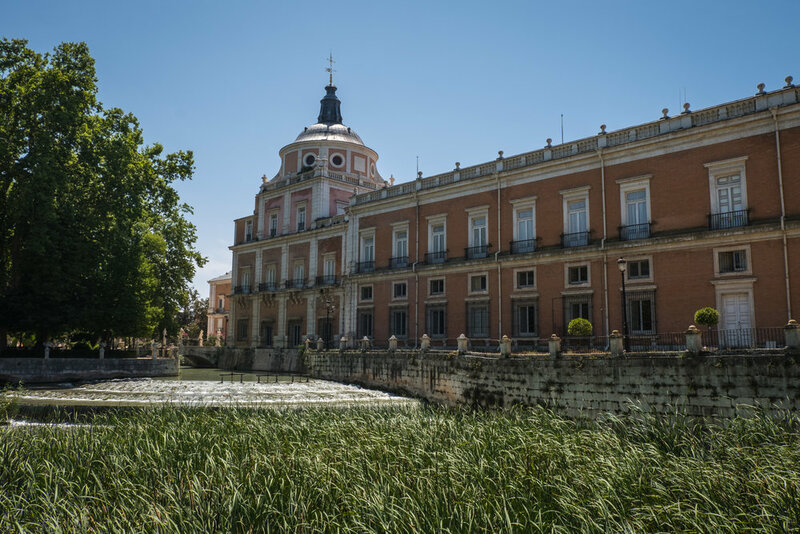 Take Aranjuez, a sleepy city 45-minutes south of Madrid by train. On a beautiful Saturday in July, I planned a visit there and logically assumed I'd be touring the UNESCO-listed royal estate with throngs of other like-minded day-trippers. 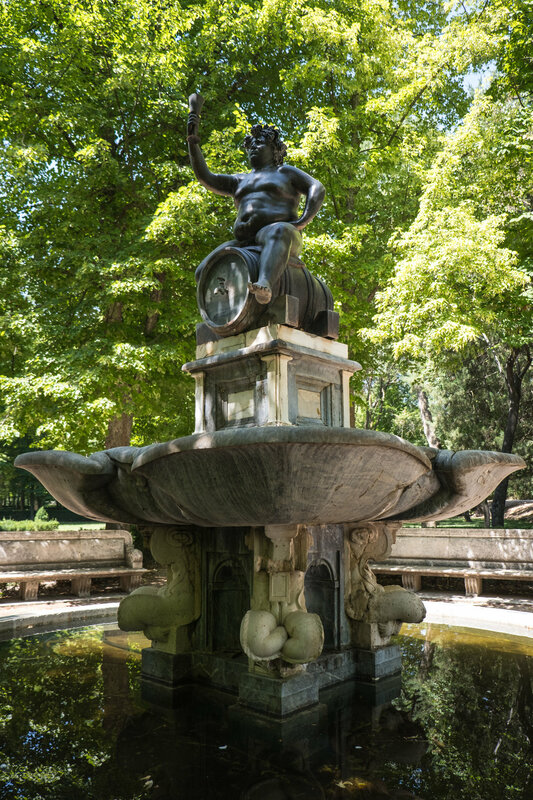 Who wouldn't want to see Aranjuez, a city founded in the 12th century as a royal site for Phillip II of Spain who only allowed royalty and nobility to live there until 1752? (During that time, overnight guests who weren't royalty or nobility had to stay in a nearby town, no joke.) But walking from the train station to the town center under the blazing sun, I felt alone on the empty streets melting in the heat. Even in this age of air conditioning and controlled climates, the sun rules. It took all the energy I had to walk through the royal palace gardens and parks, practically empty in the mid-day sun. I escaped the heat for a bit with a tour of the royal palace, finally bumping into a handful of tourists before catching the train back to Madrid.